288 pages | 37 B/W Illus. 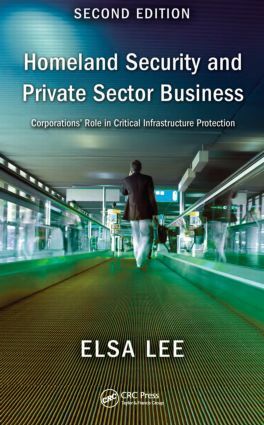 Since 9/11, the U.S. government and the private sector have devised sophisticated ways of protecting people and assets. The threats have evolved, however, becoming more insidious.They no longer comprise just terrorists who target critical infrastructures. They also include insider threats, such as PFC Manning and NSA contractor Snowden who leaked classified defense information, active shooter incidents like the Sandy Hook Elementary School massacre, and the 2013 Boston Marathon terrorist bombing. These events make it imperative for the public and private sectors to engage in effective partnership to protect people, facilities, and national infrastructure assets. Supplying tools that can easily be adapted and applied to every business situation at all budget levels, the book helps businesses counter the total threat, from traditional terrorists to inside betrayers—providing a clear blueprint for securing people and assets. "Lee argues that while terrorism is one threat, there are many risks that require a thorough understanding of the causes and effects of 17 critical factors that threaten many key resources. From chemical warfare to cyber threats, workplace violence to narcotics trafficking, Lee emphasizes the need to constantly learn from every incident as past lessons are not easily learned. Real cases prove her points. This is a must read for those who care about national security."